Want a chance to win some great prizes? 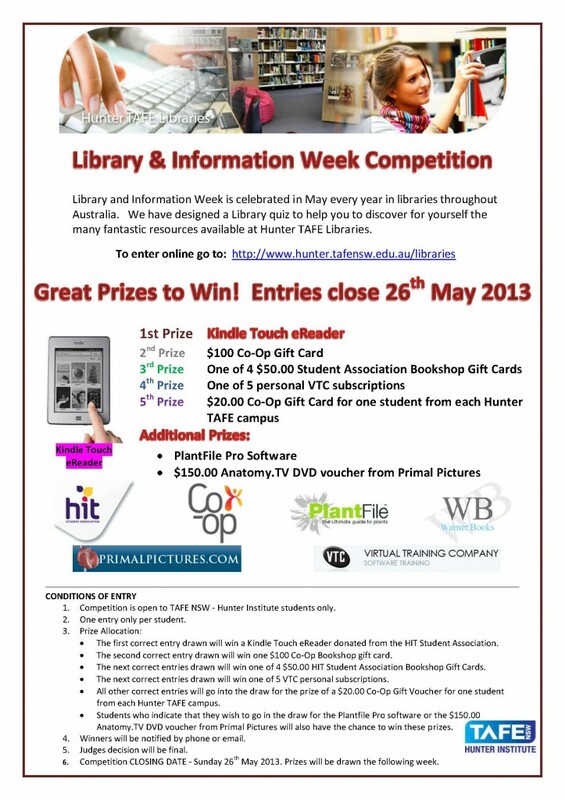 Enter our Library Competition at http://www.hunter.tafensw.edu.au/libraries. This year only online entries will be accepted. Good luck! 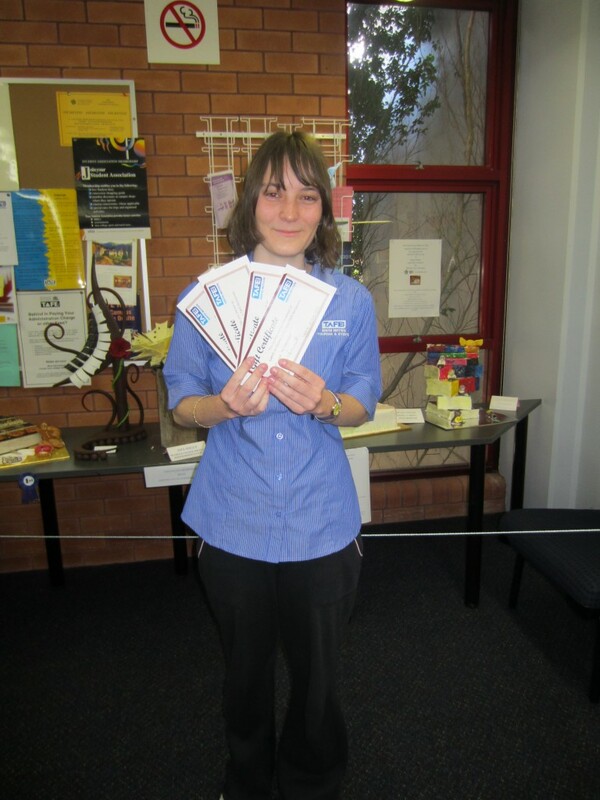 To celebrate National Literacy Week and the National Year of Reading 2012, students at Hamilton campus Library received a free raffle ticket whenever they borrowed a book in August. First prize was dinner for four in the Clydesdale Restaurant, won by Jessica Latham. Second prize was dinner for two in the Clydesdale Restaurant, won by Sharyn Flack. Congratulations! 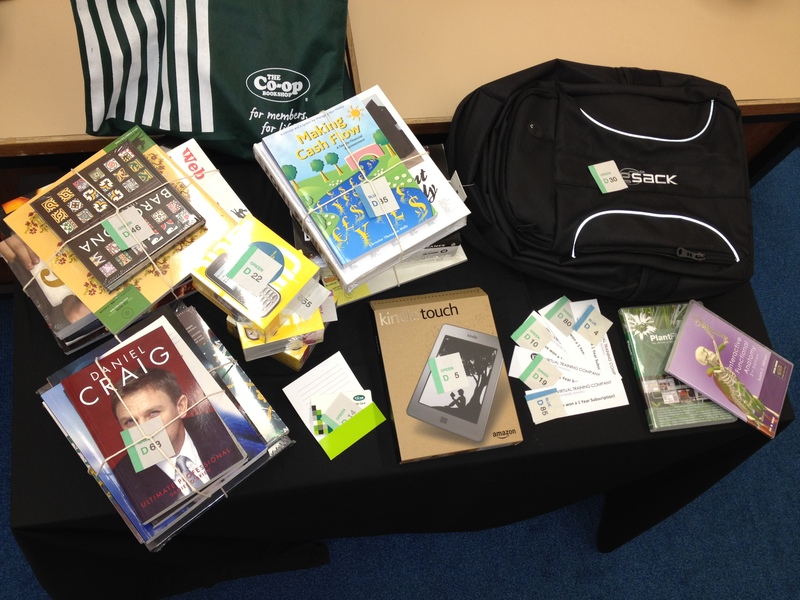 We hope you enjoy your prizes. 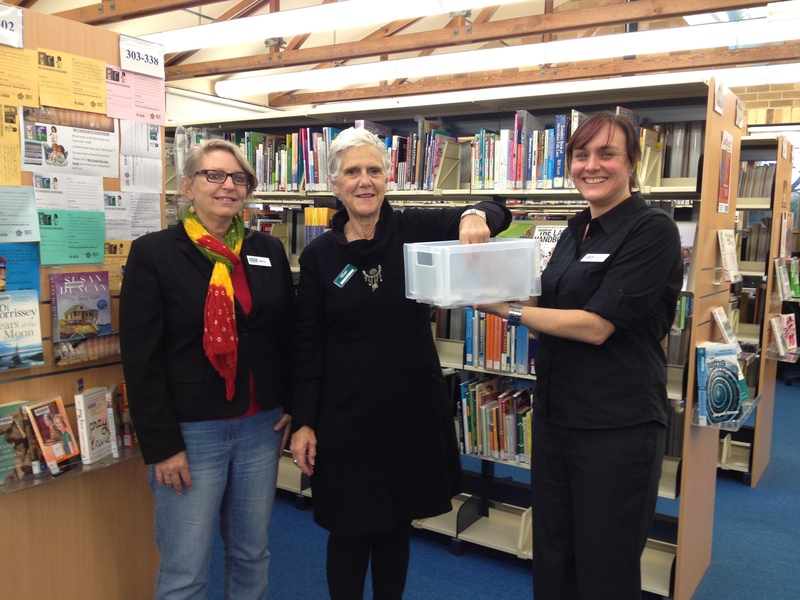 Jessica Latham was the lucky first prize winner. A big thank you to Natarsha, Katrina, Debbie, Jan and everyone else who helped out, for all their hard work in organising this year’s competition. Many thanks also go to our generous sponsors!